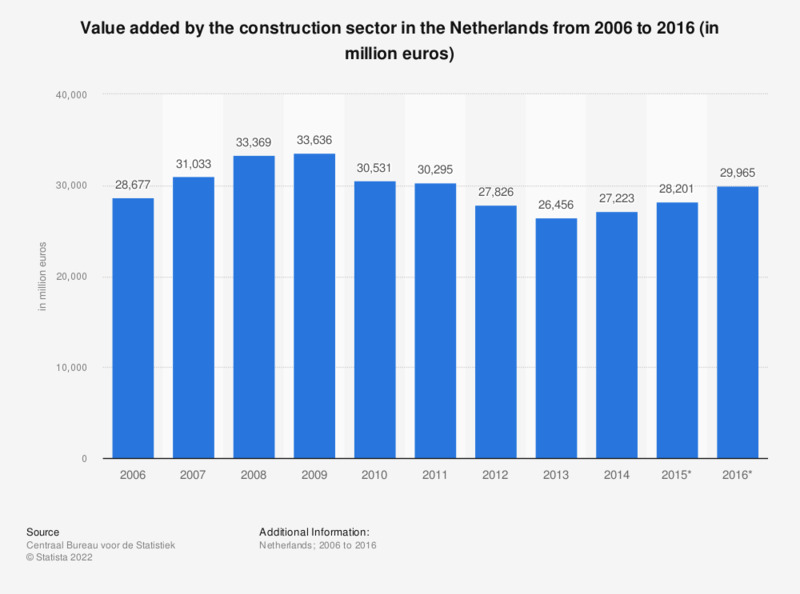 This statistic displays the value added by the construction sector in the Netherlands from 2006 to 2016 (in million euros). It shows that between 2006 and 2016, the Dutch construction sector's added value varied between 27.2 and 33.6 billion euros roughly. The source defines the value added as "the difference between production (basic prices) and intermediate consumption (purchase prices)." * The figures for 2015 and 2016 are provisional.